Our ready-to-use template will help you plan out the steps involved in survey planning and execution, plus the creation of content to maximize the results of those surveys. 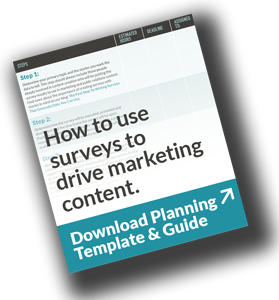 Step-by-step plan to maximize surveys for content. Get your planning guide now.